Are you looking for a friendly family dentist in Edmonton, AB? Gallery Dental loves families – and kids! It’s essential for any patient to feel comfortable during dental treatment so that they will be willing to have the necessary procedures done. This is especially true for kids! With that in mind, we’ve taken several steps to help make your child’s visit with us as calm and enjoyable as possible. Our goal is to focus on oral disease prevention. Through comprehensive exams, cleanings and oral hygiene instruction, we’re able to equip your child with the information that he or she needs to know about maintaining strong, healthy teeth. If your child does need dental treatment, we prefer to treat it as quickly as possible – when minimally invasive methods can be used. Proactive and preventive actions are the key to providing children with the foundation they need for a healthy smile for life. Early dental care sets your child up for a healthier smile as they reach adulthood. Supplying your child with quality dental care early in life helps them to avoid developing excessive dental anxieties later on. You also help them establish a healthy routine of regular dental visits. Such a habit of diligent preventive care can also reduce the cost of future dental procedures. Gallery Dental uses laser technology to complete needle free fillings on kids of all ages. Most children don’t feel any other sensation than that of having a little water in their mouths. Lasers help us keep the fillings smaller and simpler. This conservative approach can help kids to feel more relaxed during dental treatment. It also aims to preserve as much natural tooth structure as possible so that children can enjoy shorter and less complicated procedures. Dr. Sekhon has been using dental lasers since 2003. Dr. Sekhon has enjoyed watching some of his youngest patients grow up, head off to University, and still keep coming back for their dental care. It’s truly a privilege to help others maintain their dental health. We would love to provide the same, great lifelong dental care to your family. All treatment is provided by a general dentist. For more complex cases, we often refer our patients to a specialist for treatment. We will show you how to prevent gum disease and avoid the need for periodontal therapy. 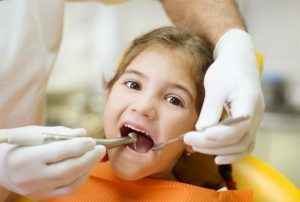 Come see for yourself how we can make your child’s next dental visit a comfortable and educational experience. Schedule an appointment by calling us today!